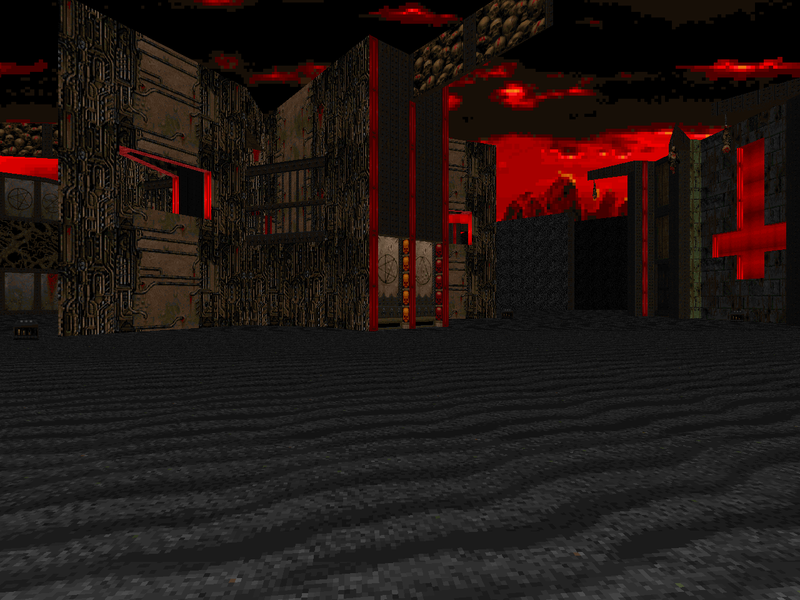 Xaser published three individual maps to the Doomworld forums in 2015, only one of which had its genesis in that year. Interestingly, the other two owe their existence to Battle of the Bits bouts from 2014 and 2013. Where 2014 had All Aboard the Mega Magilla Gorilla Flotilla, 2013 takes things in a different direction - Sharp Things. 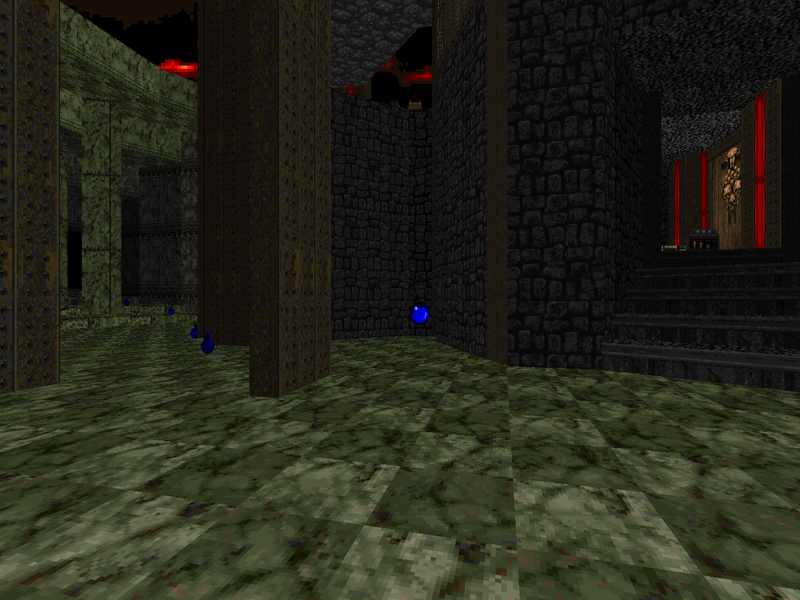 For starters, the level is for the original Doom, being an E1M1 replacement. It's also a bit longer, and not completely soaked with damage floors. 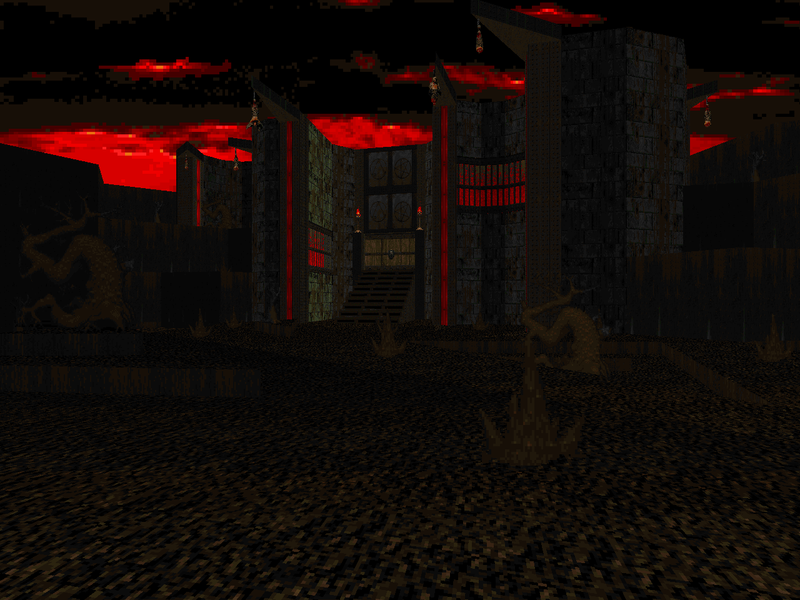 No; where XA-GORIL explores the economy of movement in Doom, XA-SHARP is about running around like an astronaut and liberally hosing everything with plasma. It blows my mind that such cool releases are tucked-away in off-site activities like this. Well, at least until the authors decide to finally bring them to /idgames. Aesthetically, Sharp Things resembles something of Xaser's that I've played with before, that being his "Precursor Consortium" from ABYSPED3. I believe that another version of that level is part of the evergreen No End in Sight; not having played it, I wonder if there's a particular episode that mines this particular theme. 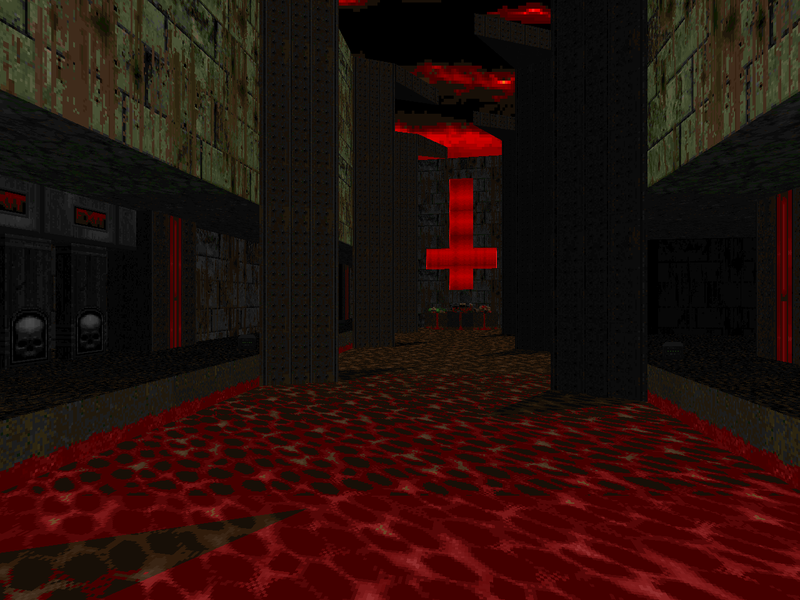 In any case, Sharp Things is a huge level with some fantastic Xaserian architecture that's built more or less into the landscape of Hell. It's got marble, skin, skintek, wood, dark gothic stone, and even an annex made from the contrast of cherry red and pitch black. Xaser's impeccable eye keeps all the themes from feeling jumbled, particularly in the central courtyard, where you'd see it the most. The end goal is to grab all three skull keys and then use them in the central tower, which - bit by bit - raises a bridge of thorns that you'll use to leg it to the exit. I believe you can tackle the keys any colour you like, with the areas around the level periphery serving as the annexes that house the individual keys. 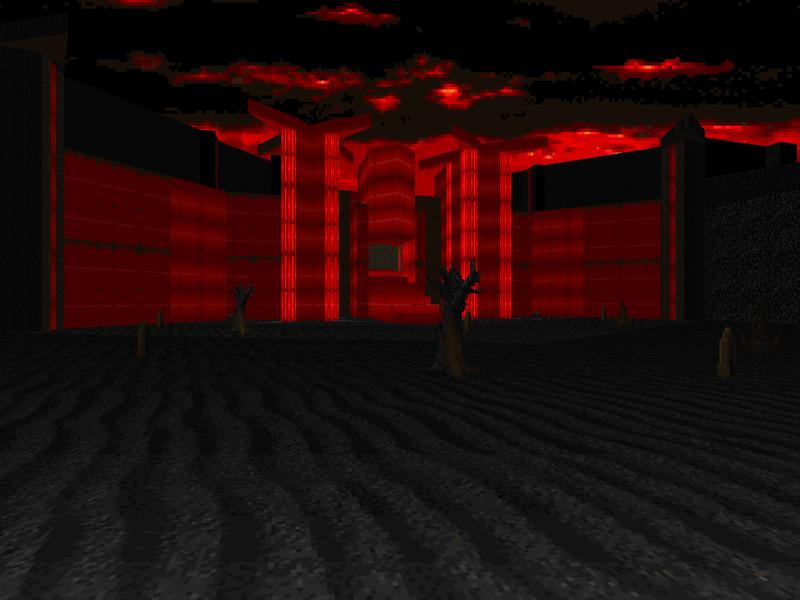 Some come much faster than others; for instance, the red key wing takes up the western side of the level and involves a trip through jagged geometry populated with zombies that ultimately ends at a cherry-red keep and a massive meat battle with demons, Barons, and a pair of Cyberdemons in a timed, gate-fed brawl that suggests the rocket launcher but will ultimately default back to the plasma rifle in a tricky three-way game of cats and mouse. 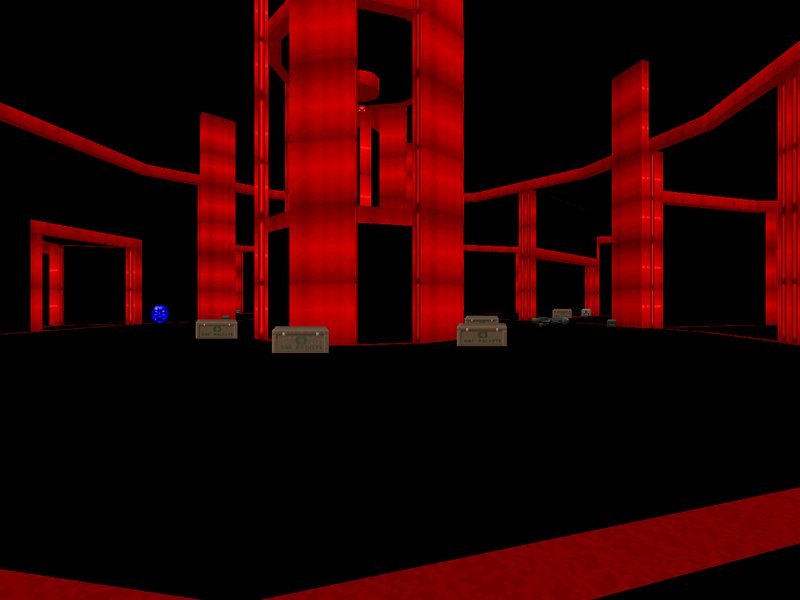 Much of the map's action leans toward exposure a la "The Courtyard". There are monsters everywhere, whether they're on the ground or somewhere in the rafters, and some of them are sneaky hitscanner snipers. 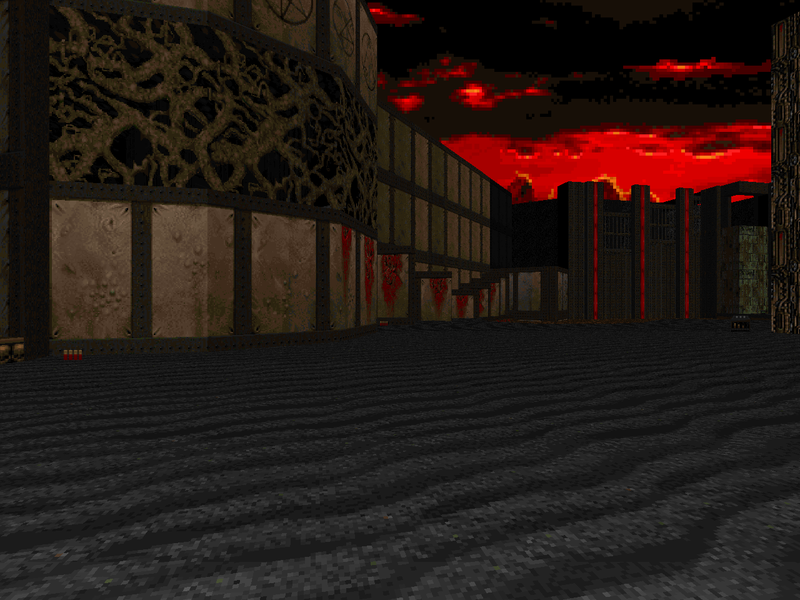 Most of the scenarios aren't truly difficult, since Doom's monster palette is so restricted. The two biggest threats are zombie attrition - which is to be expected - and the red key area, really. Dealing with the Cyberdemon in the top of the eastern tower is more awkward than anything, pushing you to make mistakes out of sheer impatience, and if you have the Spiderdemon in the central yard sorted out from the beginning, your primary threat is gone. It's still action-packed, and the lack of in-your-face difficulty (excepting the terrible two) should make this a really fun level. I also appreciate the sector machinery, which Xaser is always great at, channeling ancient luminaries like Jim Flynn with bits like the jagged staircase from that screw-attack-ish S, the two-switch red key obelisk (and the timed gauntlet that precedes it), the bridge adjacent the eastern tower that you've got to raise, the crusher bit in the Baron pit that periodically blocks movement across the peripheral ledge, and your main goal, which is to raise a series of triangular platforms to form a roller-coaster staircase to take you from one side of the northern level to the other side. There are a few other things I'm glossing over, too, but you've got to leave a few surprises. I'm glad we've still got authors like Xaser playing with the more malleable aspects of sector geometry. Sharp Things is a pretty cool level, a surprising stealth release that has me in breathless anticipation of other sundry Doom delights trickling down the pipeline, like DTWID:LE and No End In Sight. Releases for the original Doom aren't so common, and ones that don't mimic the IWADs are even rarer. If that's your thing, you absolutely owe this one a shot. Heck, even if it isn't. Xaser always delivers... though he might have a little something in common with Torgo. Does anyone know the source of that music track?, I can't place it. Xaser apparently tried to write one, but wasn't happy with it, so - and I can't be arsed to check this right now because I'm not at home - the intended track is written by another Doom modder, Lexus Alyus, and it's titled "Faces of the Wind"
Excellent job man , love to read the reviews , dont quit!